Back in the 1900s, junior and senior classes at Monmouth College seemed to always be at odds, which were followed by major class rivalries, and these rivalries were evident between the class of 1903 and the class of 1904. The Class of 1903 boasted about the senior class gift they were donating to Monmouth College. Nine male students from the Class of 1904 became envious, so they decided to steal and hide the cannon to prevent the donation. 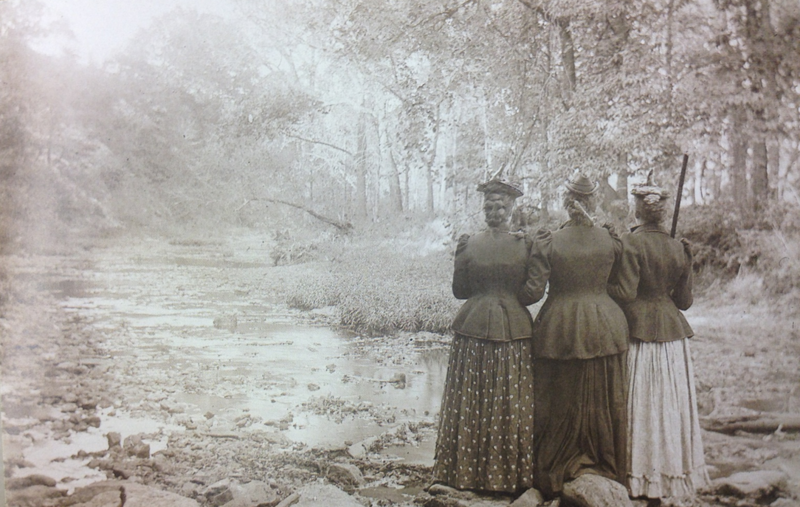 The Class of 1904 transported the cannon to Cedar Creek, where it was dumped over the bridge. Cedar Creek has been a very important part of Warren County history. Cedar Creek was the location where the first cabin of Warren County was built, a Cedar Creek Presbyterian Church was established, a sawmill was built, Monmouth College picnics were held, and much more. Barnes, Andrew. The Truth about the Cannon of 1903: Barnes Reveals Details of Mystery. Monmouth College Bulletin n.d., n. pag. Print. Daniel Meyer and Jeffrey D. Rankin. "A Thousand Hearts Devotion": A History of Monmouth College. 1st ed. Chicago: The Coventry Group, 2002. Print. Jeff Rankin, Personal Interview, 30 Sep 2013. 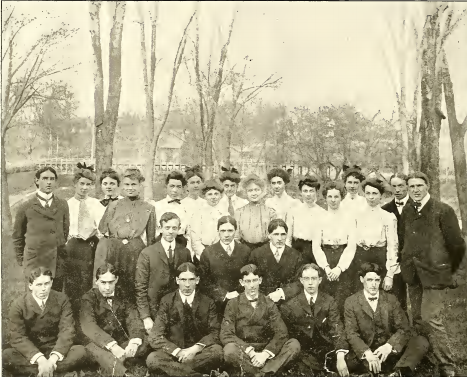 The Junior Year class photo of the Class of 1904. Cedar Creek is the destination where the class of 1904 hid the cannon during their rivalry with the class of 1903. The 2013 interview with Jeff Rankin includes the history of class rivalries at Monmouth College and specific discussions of the rivalry between the class of 1903 and the class of 1904.